It was well written, and that always scores points with me. Salisbury beautifully conjured the claustrophobia of the castle, the rigid structure of the main character’s life, and her obese mother who, despite living miles away from the main character, looms over her even more threateningly than the main villain. As for a villain, the queen is twisted but more than a little sympathetic, which always makes for a brilliant combination. The main character’s fear is more than palpable through Salibsury’s lightening-bright writing, and it lends itself to a very a tense novel. Salisbury also managed to throw the classic YA love triangle on its head, which I applaud her for. 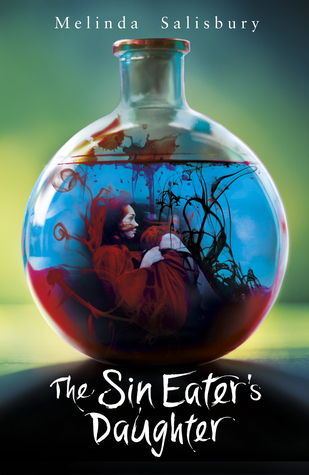 My only criticism is that the majority of the novel is concerned with building the world, and the threat is introduced and dealt with very quickly, but it definitely served as an appetiser for the next novel that the Sin Eater herself would be proud of.